Learn to drive with our local, fully qualified, professional driving instructors. Our driving lessons in Leeds provide expert tuition, excellent first time pass rate & our solid reputation for excellent customer service will help you pass your driving test with confidence. Driving Lessons in Leeds with our experienced, professional driving instructors will be fun, educational, and professional. Teaching you a life skill that will bring you independence and wider job prospects. Our excellent first time driving test pass rate and the professionalism of our driving instructors in Leeds has built our excellent reputation and trust with people looking to learn to drive. Please see our five-star reviews from past pupils. The prospect of learning to drive can be quite unnerving but don’t worry, our driving Instructors are CRB checked for your safety. Experienced, calm , and trained to a very high standard. All Learn Driving UK driving instructors conform to the Industry Code of Practice so you will be in safe hands. 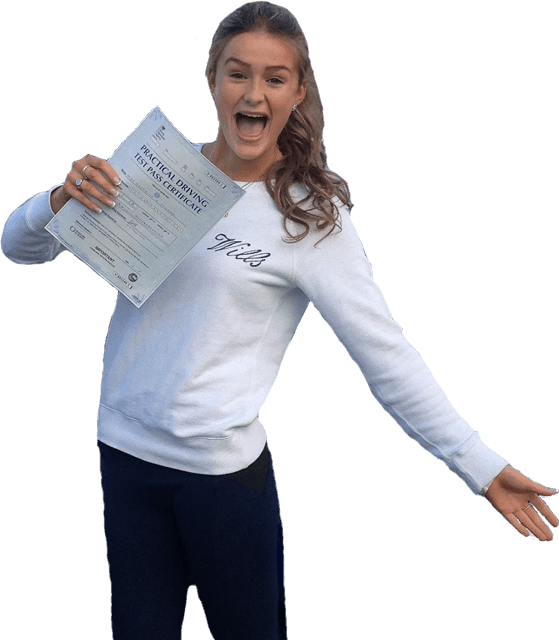 Our Leeds based driving instructors are achieving a much higher pass rate due to their knowledge of the area, professionalism, and experience of judging when their pupils are ready to take their driving test. At LDUK we start you off in “nursery areas” on quiet housing estates close to where you live. We move on to busier junctions, roundabouts, traffic lights, dual carriageways and rural roads at a pace which suits you. Expect to carry out a reverse manoeuvre exercise and possibly an emergency stop (1 in 3 tests only) on the test, which lasts around 35 – 40 minutes. Whatever level of driver you are, your LDUK instructor will start your lessons in an area in which you can cope with the traffic conditions. There are dozens of residential estates in Leeds where your early lessons can begin. You will practice in both urban and rural areas and a variety of road types: single and dual carriageways, country lanes, one-way streets, and the Leeds inner and outer ring roads. Thankfully, neither of the test centres has routes incorporating the Leeds city centre. However, both are close to very busy and complex dual carriageways which you must feel confident on prior to taking the driving test. Situated in Northwest Leeds, Horsforth test centre is on a busy street within 400 metres of the Leeds Ring Road (A6120). The Ring Road splits the area in two. To the North, test routes incorporate the A660 Otley/Skipton road using areas of Lawnswood, Bramhope and Tinshill. The A658 (Bradford/Leeds road) is also popular in the areas of Leeds/Bradford Airport, Rawdon and Calverley. To the South of the Ring Road, experience of the A65 towards Kirkstall, Burley and Headingley areas is vital. Test candidates should park on Low Lane on test day as there is no car park. The Centre has wheelchair access and male, female and accessible toilet facilities. Our team of local driving instructors all have excellent local knowledge to help you pass your driving test in Leeds. Our friendly local driving instructors are all CRB checked. Availability and reviews on the internet were important to me when i was looking for a driving instructor. I needed a driving instructor who was flexible. Tim Warringtons teaching methods exceeded my expectations and i passed my driving test at the first attempt. Tim was calm, collected and fair. I am very pleased. I would highly recommend Tim. He has an overall great approach to driving lessons and makes sure that he satisfy's the personal needs of the student. Everything was perfect in my opinion. It was important to me that i had a driving instructor that i got along with and was a good teacher. The location of the lessons and timings were important to me too. Learning to drive was harder and longer than i expected it to be, but i passed my driving test first time. Tim Warrington's teaching methods were clear to understand and i didn't feel under any pressure. Money well spent and passed first time. Everything worked just fine. I have severe anxiety disorder and never imagined i would have the confidence to get behind the wheel and pass my driving test. Well today i did just that! Thank you Simon for being you. You are a fantastic driving instructor, who has the patience of a saint. When i felt like i couldn't do it you proved to me i could. Your knowledge and guidance made the whole journey much easier. Thank you again. Third time lucky. Thank you Simon Hills for helping me achieve my goal. I will recommend you to all my friends. Simon is an amazing teacher. He has made me feel confident driving after losing my confidence with my previous driving instructor. He explains everything clearly and is patient while you are learning. He has excellent knowledge of the driving test routes and ensures that you are fully prepared for your test. thank you so much Simon for helping me pass first time. I chose Learn Driving UK as their reviews were good. I wanted a friendly driving instructor and thats what Martin was. Learning to drive was more difficult than i expected it to be. Martins teaching methods were very good and useful. He always kept me up to date about changes. I would highly recommend Martin and Learn Driving UK to everyone, he is friendly and has detailed teaching. I passed my test first time with Martin Kearsley from learn driving UK. I thoroughly enjoyed my lessons and the way Martin taught, and helped me through not only my practical lessons but my theory test too. I have now been driving over a year and a half, and have a 3 month old daughter I can drive around safely all thanks to Martin. I couldn’t recommend him or learn driving UK more, or thank Martin enough for teaching me this life long skill. Tam was recommended to me. Learning to drive was just as i expected it to be. Tams teaching methods were cool and adjustable, he really helped when i struggled. I highly recommend Tam, hes an amazing driving instructor. I chose Learn Driving UK as they have good reviews online. Learning to drive was everything i expected it to be (very stressful) but i passed first time. Martins teaching methods were very good. He never cancelled any lessons. Simon was recommended to me and he was a really patient driving instructor. There is lots to learn when you are learning to drive and busy traffic can be a challenge. I passed my driving test first time with only one minor fault, Simon is a very good driving instructor. I chose Simon Hills as he has a good reputation and a very good pass rate. My lessons were fab and Simons teaching methods were fab. Best instructor I've had. Simon was able to fit me in for lessons when it suited me. Learning to drive with Simon was great and i passed first time. I started with nerves and ended with none. I have learnt so much, Simon's teaching methods were great and he was very encouraging. I would highly recommend Simon, if i can pass first time anyone can. I'm elated. Passing with Simon Hills in Leeds, was easy and now I am going to let all my friends on Facebook know how good you are, I would highly recommend you. Buzzing finally passed, first time with 1 minor. Cheers for this week Bob Hardy recommend him to anyone wanting to learn to drive.